Thirty thousands of cases of hummus produced by Sabra Dipping Co have been recalled due to possible contamination with listeria. The FDA announced the recall after inspectors discovered listeria during random testing at a Michigan retail store. Listeria is a food-borne organism which can cause fever and nausea in most cases, and people make full recoveries. The disease, listeriosis, can be fatal to people with weakened immune systems, and lead to miscarriages among pregnant women. 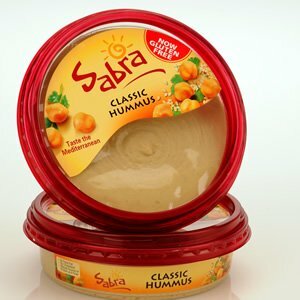 The national recall applied to Sabra Classic Hummus brand of the blended chickpea snack – five of its 60 products – although no illnesses have so far been reported. The contamination was discovered on March 30 at a Kroger grocery store in Port Huron, Michigan. This is the second food recall related to listeria in the US this week. On April 9, Blue Bell Creameries expanded an earlier recall after an additional three people in Texas were made ill by its products, according to the CDC. Three people in Kansas have already died from listeria outbreak.